Update: Most Android Wear devices, like the G Watch, G Watch R, Gear Live, and ZenWatch all appear to be receiving this update. Not much is standing out in terms of new stuff. If anything, your watch should be more stable. 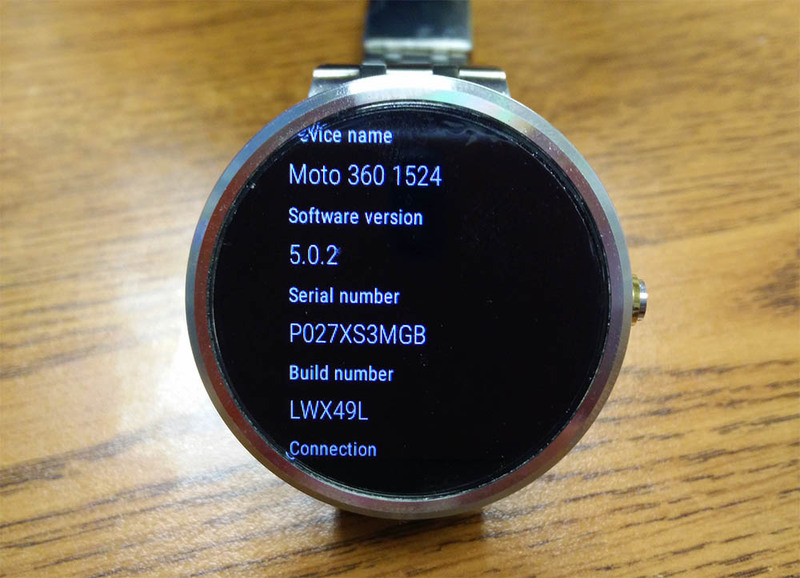 An Android 5.0.2 update is rolling out now to Moto 360 units as build LWX49L. At least one of our readers has already received the update, which Motorola says updates Google Play Services and adds a “variety of system optimizations and security updates to improve performance stability.” This appears to be a bug fixers rather than a feature-introducer. To check for the update on your device, head into Settings>About>System updates. Cheers Ryan, Kevin, Travis, Jeff, Cody, Tim, Dominik, and everyone else!